Location: 5740 Royalwood Unit D, North Royalton, Ohio 44133. The single most important step toward ensuring your own safety is having a personal safety strategy in place before you need it. 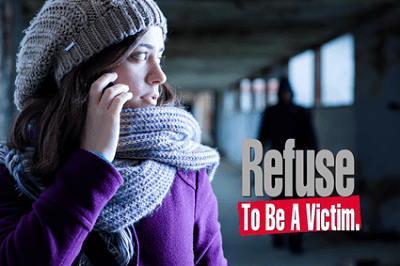 NRA’s Refuse To Be A Victim® program teaches the tips and techniques you need to be alerted to dangerous situations and to avoid becoming a victim. Seminars are held across the nation and are open to men and women of all ages. Today, hundreds of federal, state and local law enforcement officials from across the nation utilize this popular program in their crime prevention and community policing initiatives. Corporations, educational institutions, and community centers have also adopted the program. All told, more than 100,000 people have benefited from these seminars. In 2013, there were an estimated 1,163,146 violent crimes reported to law enforcement. The FBI reported an estimated 8,632,512 property crimes in 2013. Motor vehicle theft remains a major reported crime with 699,594 occurring in 2013.